NASA Invites You to “Picture Earth” for Earth Day « Adafruit Industries – Makers, hackers, artists, designers and engineers! NASA invites you to celebrate the planet we call home with our #PictureEarth social media event. Post a close-up photo on social media of your favorite natural features, such as crashing waves, ancient trees, blooming flowers, or stunning sunsets. 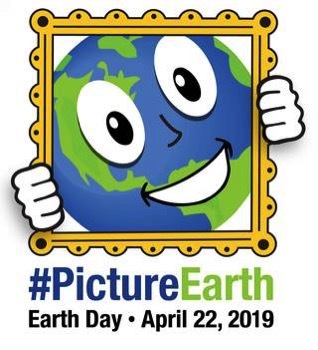 Use the hashtag #PictureEarth and upload the photo on April 22. Be sure to include the location where the photo was taken in the text of your social media post. On Earth Day, we will share some of NASA’s most stunning images of Earth from space to inspire you. We’ll check Instagram, Twitter and our NASA Earth Facebook event page to find your images and select photos from around the world to showcase later in videos and composite images. NASA satellite and airborne instruments picture Earth every day to increase our knowledge of our home and improve lives. These images, shared with scientists and the public worldwide, may use visible light, like a photographer’s camera, or peer into infrared, microwave and radio wavelengths that are invisible to human eyes.